A polar bear celebrates its birthday, an Afghan vendor tries to keep the carrots hydrated, and more in today's news pictures. 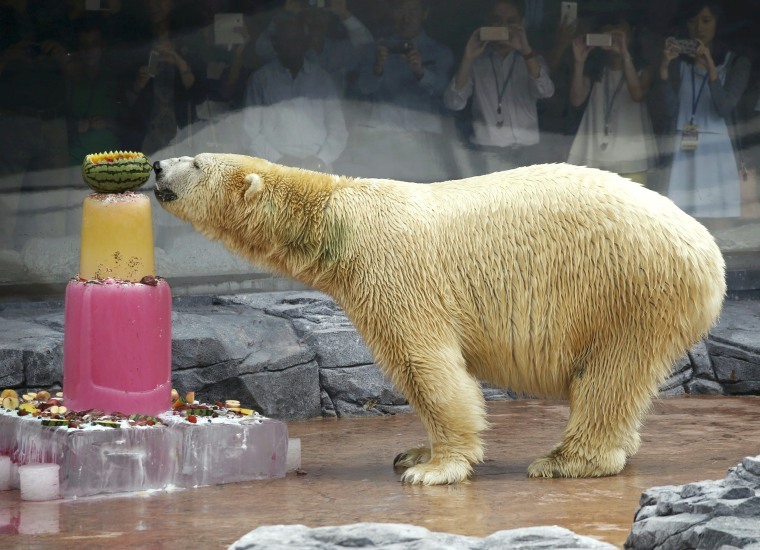 Inuka, the first polar bear born in the tropics, enjoys an ice cake during its 25th birthday celebrations at the Singapore Zoo on Dec. 16, 2015. The photo was made available on Dec. 20. 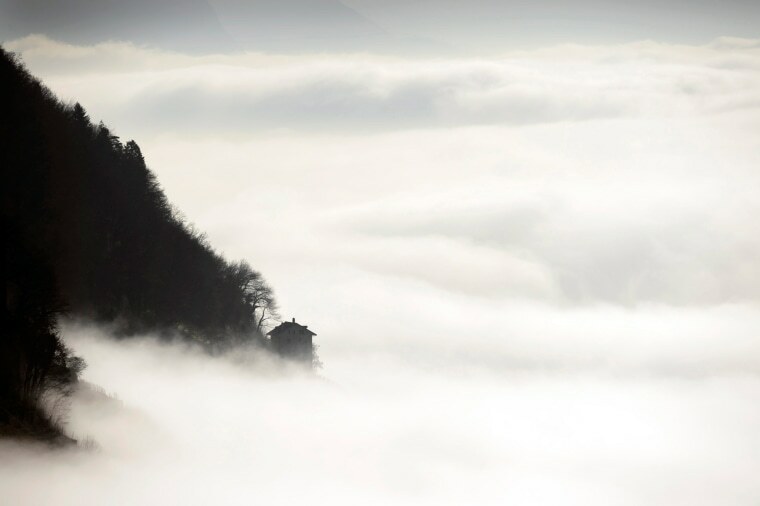 A house rises out of the sea of fog which covers the Geneva lake and the surrounding vineyard region of Lavaux, in Cully, Switzerland. 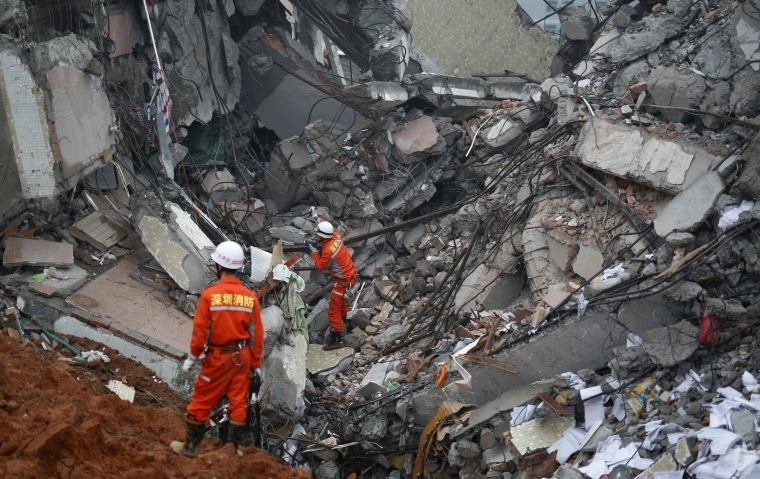 Firefighters search for survivors among the debris of collapsed buildings after a landslide hit an industrial park in Shenzhen, Guangdong province, China on Dec. 20. More than 27 people are still missing. 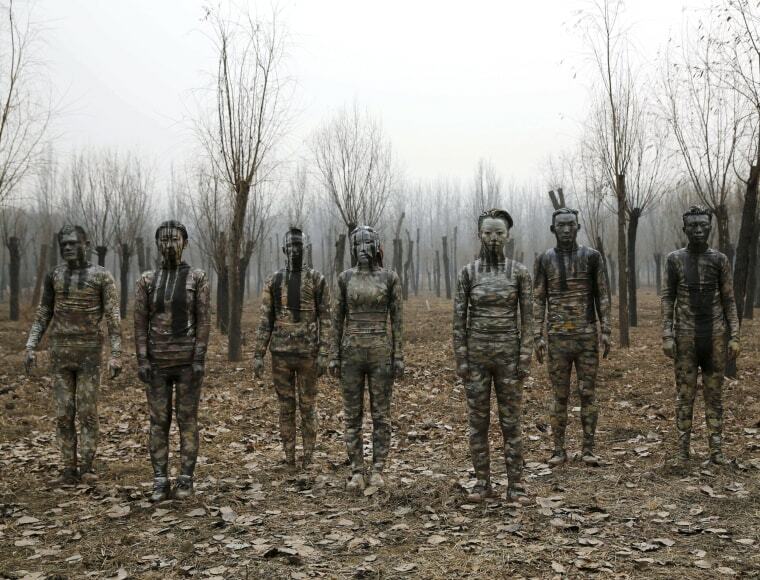 Models painted in camouflage colors to blend in with the background pose for Chinese artist Liu Bolin's artwork "Dongji", or Winter Solstice, on the second day after China's capital Beijing issued its second ever "red alert" for air pollution, in Beijing, China. Liu told Reuters that he wants to express his concerns about China and its people, including air pollution problem. 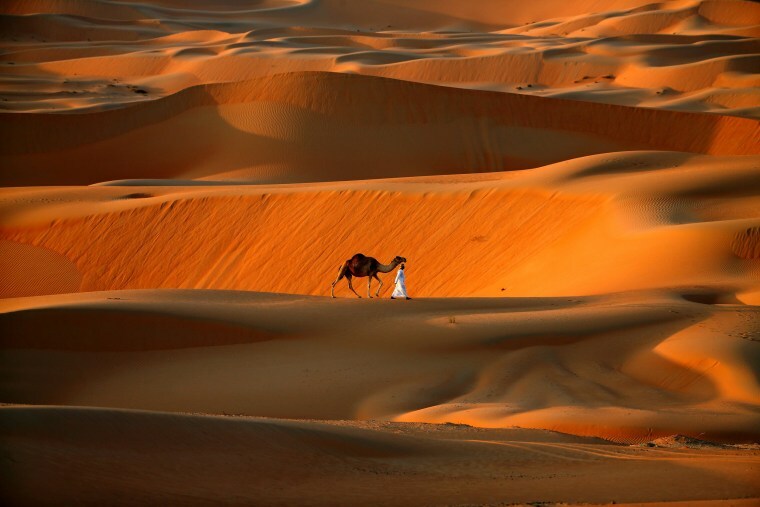 A man walks his camel across the Liwa Oasis, near Abu Dhabi, United Arab Emirates. 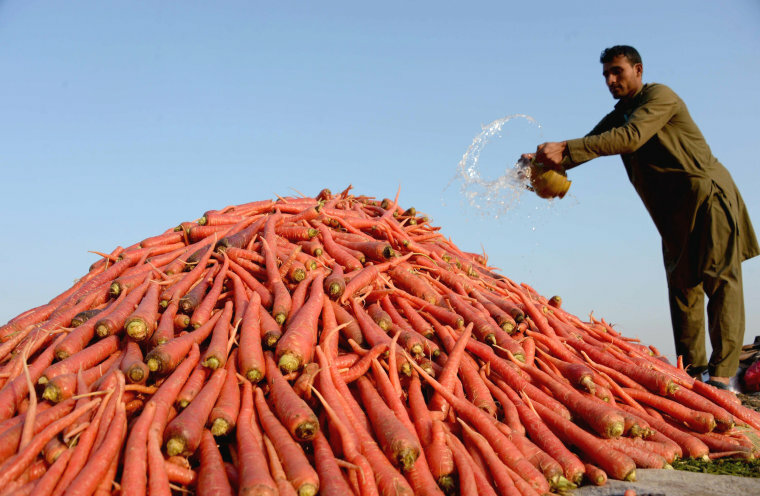 An Afghan vendor throws water over harvested carrots in Jalalabad. 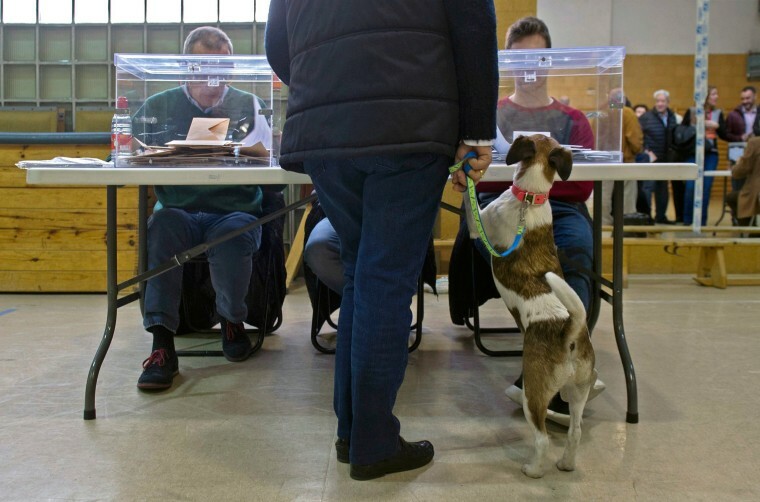 A dog appears to be curious as his owner casts his vote at a polling station in Pamplona, Spain, during the Spanish general elections. 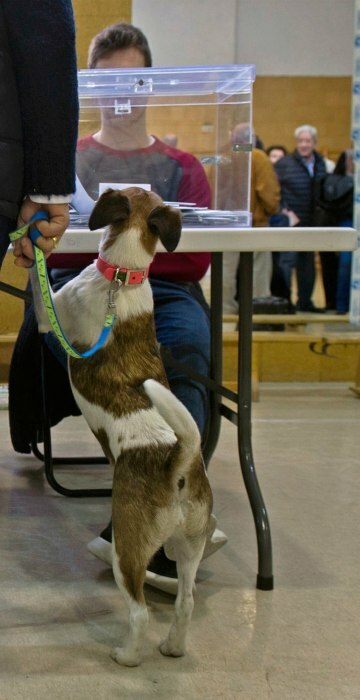 Spanish voters began casting their ballots in parliamentary elections that will determine the country's next coalition government. Police use water cannons and teargas to disperse people protesting against security operations against Kurdish rebels in southeastern Turkey, in Istanbul, Sunday, Dec. 20. Security forces have killed more than 100 Kurdish rebels in last four days in southeast Turkey, news agencies' reports say. 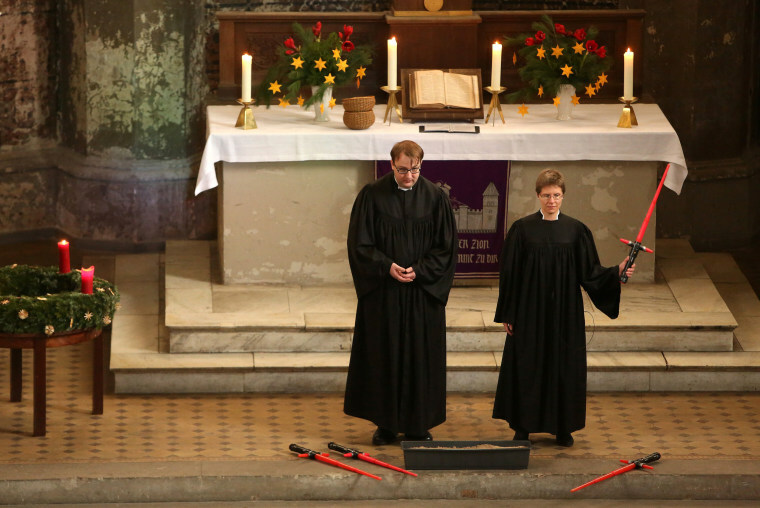 Vicars Lucas Ludewig , left, and Ulrike Garve hold a church service centered around the 1983 film 'Star Wars: Episode VI - Return of the Jedi' at the Zionskirche (Zion Church) on Dec. 20 in Berlin, Germany. 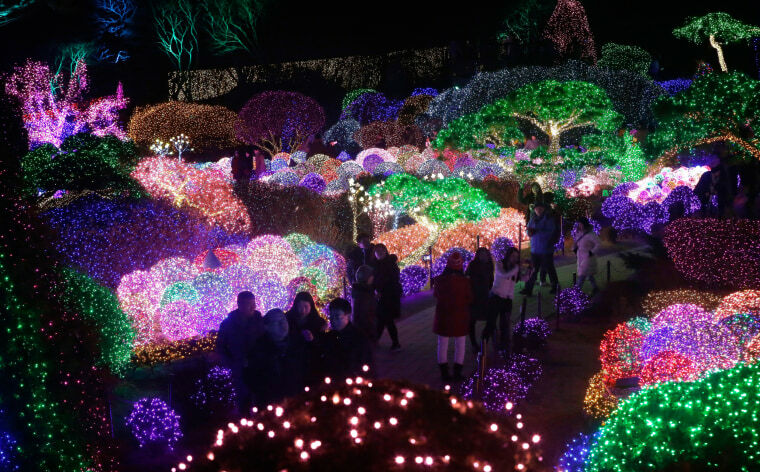 Visitors walk past the illuminated trees that are for celebrating the upcoming Christmas and New Year at Garden of Morning Calm in Gapyeong, South Korea.